Online stores are considered an extremely powerful tool for business. It will bring revenues of customers to your business if you do it in a right way. And, do you really know how important a reliable searching tool is? Yes! It’s absolutely the key factor to keep them as your loyal visitors. Hence, stop challenging your customers patience by unprofessional searching tool. 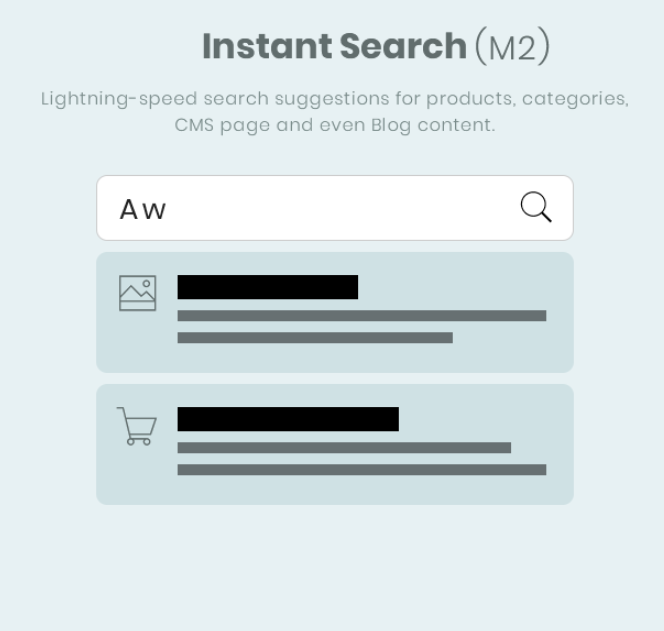 Using our Elastic Search Magento 2 instead will never disappoint your customers anymore. Why do you need the Elastic Search Magento 2 ? Searching a product in the Magento store can be a big pain for the customers specially when products are listed in a huge amount, this is a reason that most of the customers quit their online shopping. Hence, if you can help your customer search product fast also means you get more chances to gain customers’ sympathy. Thus, Elastic Search Magento 2 is exactly a must-have tool for your eCommerce business. By means of this tool, customers will see the searching result instantly, no delay after entering the keywords in search box. The search result will be shown as a drop-down list that includes all necessary information of each suggested product such as image, product name, price and short description. This feature also helps customer finding the preferred product quicker and better. Well coded, no negative performance impact on your site. Tested also on mobile and tablet devices. Easy to install and edit, no programming skills needed. Works also when full-page cache is enabled. Elastic Search Magento 2 y Magesolution is good solution for you to leverage the power of elastic-search. More and more owners are moving to do business online now. Hence, the customers now get more choices, they want to get the best. As a result, some of them are extremely demanding when purchasing. However, if you can meet their expectations, they will become your loyal clients. We believe that gaining customer’s satisfaction is not too hard if you do in the right way!